Regulation critic Bradley Tusk, who is also an Uber shareholder, has some strong opinions on New York’s new regulations that cap the number of ride-share drivers. He believes that Uber’s kinder, gentler approach these days could be interpreted as weakness by Uber’s traditional rivals. But an Uber insider tells us that times have changed, and Uber’s view on its former rivals has changed with them. Political-campaigner-turned-regulation-critic Bradley Tusk -who is also an Uber shareholder – has some unsolicited advice for Uber CEO Dara Khosrowshahi: Uber’s kinder, gentler image isn’t a good thing when it comes to a “bare knuckle fight” with would-be regulators who want to limit Uber’s business. “Effectively, if you want a CEO who is chosen because he is calm and smooth and avoids conflict at all costs, that may work really well in certain parts of the business. But when it comes to a sort of bare knuckle fight with the city council, you really have no chance at all,” Tusk tells Business Insider. Tusk’s comments are in response to new rules approved earlier this week in New York, when Mayor de Blasio achieved something he had been wanting to do for three years: limiting the number of ride-sharing cars operating in the city. Tusk’s viewpoint poses interesting questions for tech startups fighting incumbents in heavily regulated industries. Is there still a time and place for Silicon Valley’s famous resistance to government regulations? The most extreme example of that attitude is Uber’s brash former CEO Travis Kalanick, who fought them with gusto. But companies like Airbnb, FanDuel, Bird, and the bevy of self-driving car companies are all having their own stand-offs with city and state regulators. And in the years before Kalanick’s spectacular fall from grace, he was widely praised in the Valley for his tactics in taking on the old-school incumbents…and winning. In fact, in 2015 de Blasio tried to do this same thing, and limit the number of ride share drivers. 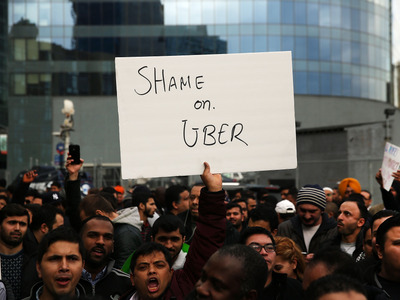 But Uber engaged in an all-out assault of protests that was so powerful, it became the blueprint for how tech upstarts could combat would-be regulators. It also catapulted the take-no-prisoners political operative who orchestrated Uber’s counter-regulation campaign, Tusk, into a sought-after star helping other tech upstarts fight regulators. Tusk was paid in Uber stock to help Kalanick navigate New York’s notoriously thick taxi regulations in those earlier days. Those shares of Uber, paid in lieu of Tusk Strategies’ usual fees, were believed to be worth $US100 million in 2017. Tusk cashed out some of his Uber shares earlier this year, when SoftBank invested in the company and bought up equity from existing shareholders. However, he still owns a significant chunk of shares in Uber, he said. But he says he’s never met Khosrowshahi, much less advised him. Still, he has some advice for Uber’s current CEO. “What I would say to him: there’s a lot of areas where a kinder, gentler approach makes sense. But taxi is a cartel. Uber only exists because Travis and team were tough enough to take them on and fight them tooth and nail in every city in the United States,” Tusk said. And yet, just because tough tactics worked in the past doesn’t mean they are necessary for the future, argues a person familiar with Uber’s New York operations, who requested anonymity to discuss the company’s internal deliberations on this latest city council ruling. “A lot has changed since 2015 in terms of driver and rider sentiment and how they feel about Uber has declined significantly. If this was a political campaign, Uber doesn’t have a base anymore,” this person said, adding that Uber has suffered a 30%-plus drop in reputation, even among riders. That drop would have “weakened” the company’s ability to rally protesters, should they have tried a repeat of the tactics used in 2015. Also, under Khosrowshahi, Uber doesn’t view the taxi industry as the all-out enemy anymore, this person said. The company particularly has sympathy for the the drivers themselves hurt by the rise of ride-sharing, the person said. Six of them have committed suicide in New York, blaming Uber for destroying their livelihoods. 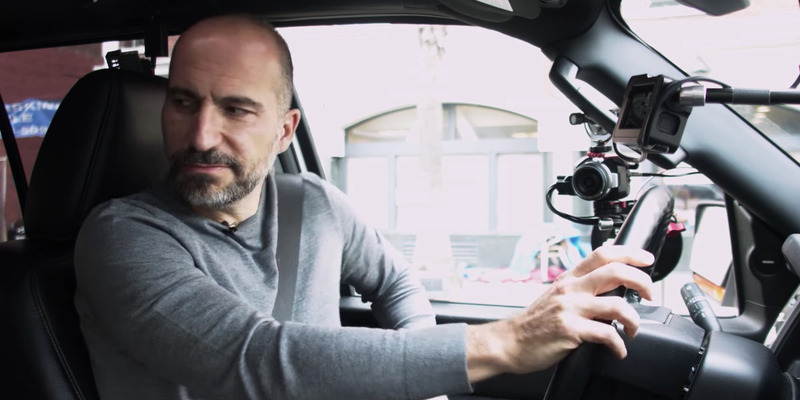 Plus executives believe that Uber, under Khosrowshahi, has won back the good graces of regulators in London and Buenos Aires, and that this is a better strategy than campaigning against them in the long-term. Internally at Uber, executives nowadays didn’t see much of a threat to their long-term business by capping the number of ride sharing vehicles on the road at current levels in New York for a year, this person said. They don’t believe that New York will become a model for other cities instituting caps, as Tusk warns. Meanwhile, even if Uber has moved on, Tusk has no shortage of takers that want his brand of fight. 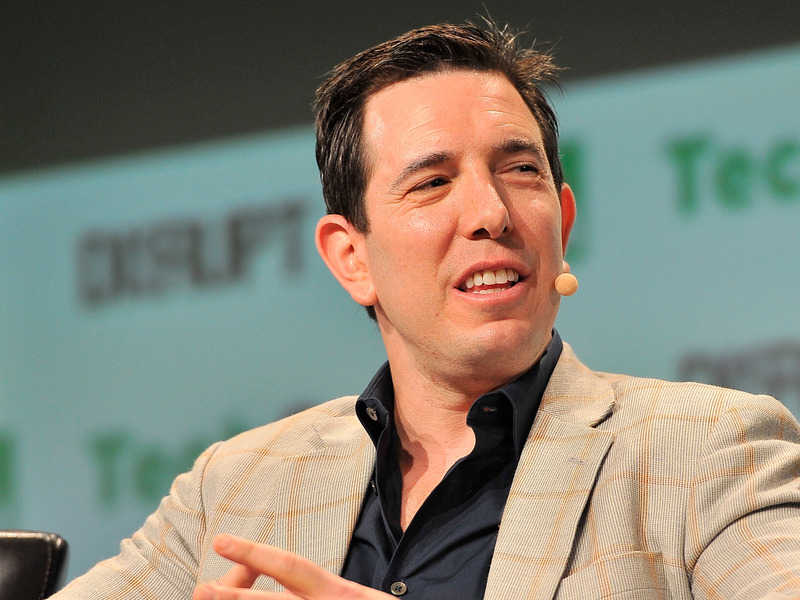 He’s currently working with electric scooter rental company Bird and daily fantasy sports firm FanDuel.